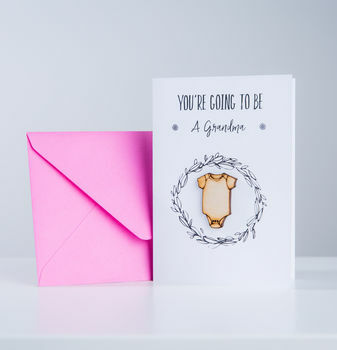 This card is the perfect way to announce to your parents or in laws that you're having a baby! 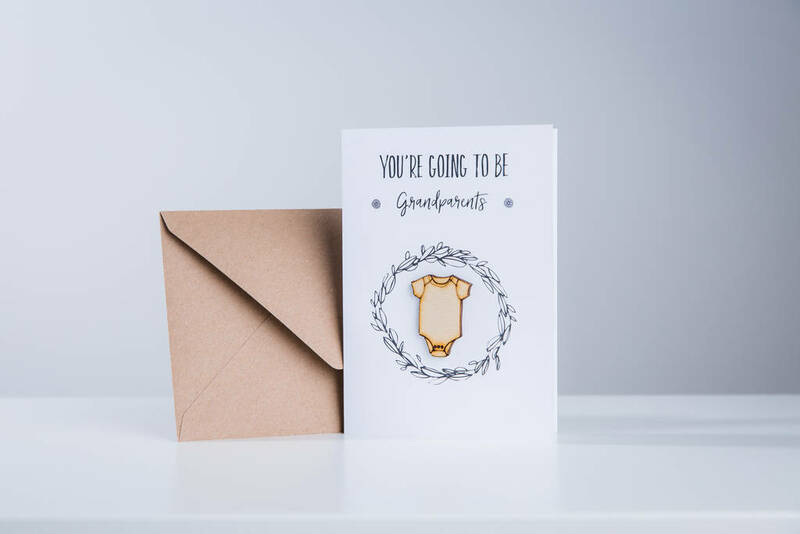 Surprise them with this beautiful card! 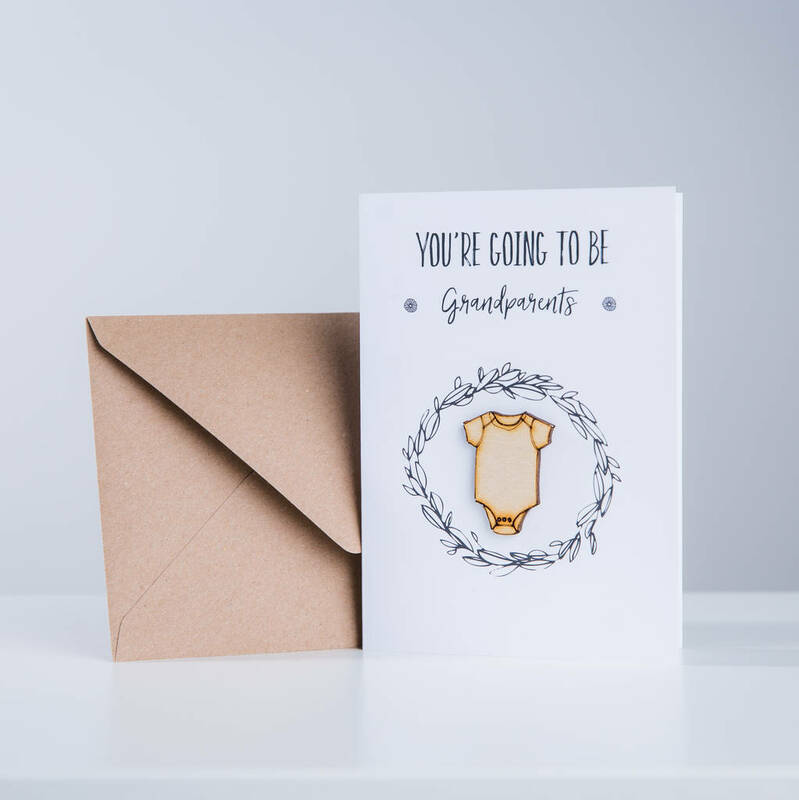 Whether you're telling your mam, mother in law, or both of them together, we have a card for the special occasion! You could even pop your scan photo inside for that extra special touch. Choose which phrase is more relevant to you and which colour envelope takes your fancy and we will do the rest for you! The inside of the card is left blank for you to put your own personal message. This A6 card has a mini babygrow attached to the centre of the card, to give a 3D element with a wow factorl! Store as a keepsake to look back on forever and ever! Envelope Options: White, Kraft, Light Pink, Light Blue or Yellow. This product is dispatched to you by Funky Laser.